HobbyStar StarLinks are a handy way to balance charge your 2S packs without having to deal with balance boards or other clumsy 109. Standard 4.0mm bullet plugs and a standard JST-XH balance plug (6S plug to fit all chargers) on one end, and another set of standard 4.0mm bullet plugs on the other end with a standard 2S JST-XH connector. Plugs directly into your terminal style hardcase pack. At a foot long you won't even have to remove your packs from your car to charge them. 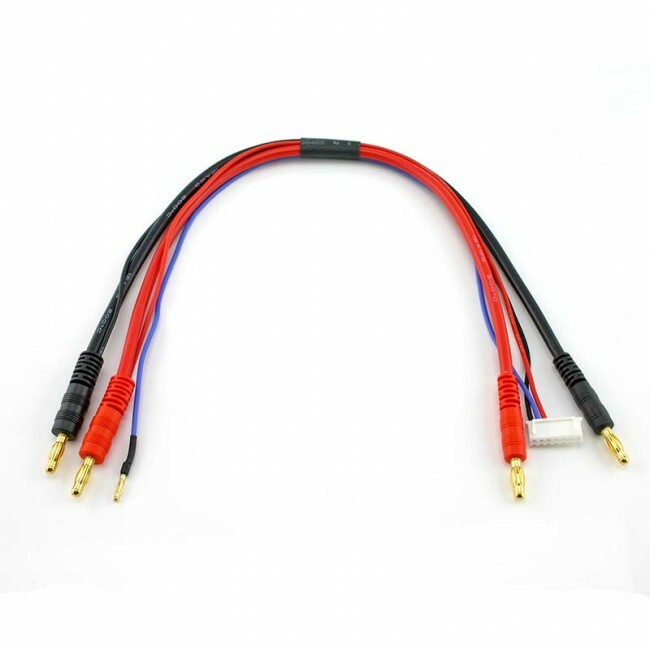 Gold plated connectors and high-quality 14AWG silicone wire (20AWG silicone wire for balance leads).